dacadoo was announced as one of the Top 100 global innovators by the Journal of mHealth which published its annual Global Digital Health Award List 2015. Only two Swiss companies were nominated in 2015.
dacadoo, a Swiss innovator in digital and mobile health technology, was announced as one of the Top 100 global innovators by the Journal of mHealth which published its annual Global Digital Health Award List 2015. Only two Swiss companies were nominated in 2015.
dacadoo develops and operates its online and mobile dacadoo health engagement platform that enables people to track their health and well-being in an easy and fun way on their smartphones or the web, using gamification, social features and personalized feedback to engage users to remain active. 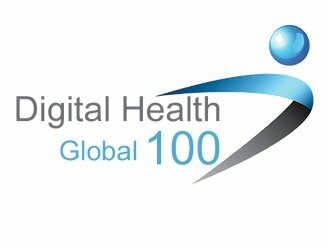 For the second consecutive year, dacadoo was nominated as one of the Top 100 global innovators in the emerging market of digital and mobile health technology by the Journal of mHealth who compiled and published its prestigious Global Digital Health 100 Award List 2015, thereby recognizing innovation in mobile, digital and connected healthcare. In 2015, only two Swiss companies made it to the list of Top 100 innovators. The full list of nominees can be found at www.thejournalofmhealth.com . The dacadoo mobile health engagement solution enables individuals to track, manage and benchmark their health in an easy and fun way on their smartphones. dacadoo calculates a personal Health Score, a scientifically calculated number from 1 (low) to 1,000 (high). The score works as an indicator and moves up or down in real-time, depending on how body values, emotional wellbeing and lifestyle (exercise, nutrition, stress and sleep) change. To remain active, motivation techniques from behavioral science and online games, social features and personalized feedback are applied. The award-winning company is working with strategic partners from key industries to bring the solution to the global health and well- being market.